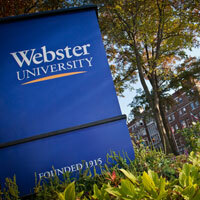 Webster University Provost, Senior Vice President and Chief Operating Officer Julian Schuster has announced the search committee for the position of dean of the George Herbert Walker School of Business & Technology. Committee members will assist in recruiting and evaluating a strong and diverse pool of academic leaders. The members of the committee were selected through a collaborative effort with faculty members in the School. Stuart Greenbaum, former dean of the Olin School of Business, Washington University, will serve as an external advisor to the search committee. In addition, the search committee will be assisted by a search firm.